Joseph P. Farrell has written many books on the secrets of the Third Nazi Reich and its continuance into a worldwide cabal of a Fourth Reich hidden through the political machinations and devices of this fascist corporatism. Farrell concentrates in this tome on how this was played out in the life of the one-time Deputy Fuhrer to Adolf Hitler, who was third in succession to become head of state and government after Hitler and Reichmaschall Herman Goring. Much of Farrell’s book centers around Rudolf Hess’s mystery flight on May 10, 1941 to Great Britain, the questions surrounding the motives of the flight, the possibility of a doppelganger Hess, his confinement at Spandau prison, his death and possible murder, his incoherent and bizarre behavior at the Nuremberg trial, and the Nazi plans to complete a German annexation agreement on the Reich ownership of Antarctica. Source: HESS AND THE PENGUINS: THE HOLOCAUST, ANTARCTICA, AND THE STRANGE CASE OF RUDOLF HESS, Joseph P. Farrell, Adventures Unlimited Press, One Adventure Place, Kempton, Illinois 60946, www.adventuresunlimitedpress.com, auphg@frontiersnet.net, 2017, 266 pages, $19.95. Farrell introduces the reader to what might be characterized as “Spandau Hess” with events involving his impressiveness and possible murder of either the ‘real’ Hess or a substitute doppelganger. Relying on researchers such as Peter Radfield and others, Farrell suspects many of the guards and the nurse Aballah Melaouchi, as well as the several medical orderlies that might have been involved in the possible murder. There is mention of an electrical cord and probable strangulation marks on Hess’s neck (pp. 15-32). Hess’s son, Wolf Rudiger Hess, also questioned the discrepancies in the death of his father. British forensic pathologist and professor of forensic medicine, J.M. Cameron, was selected to perform the autopsies, and he had also found a suicide note. Wolf Hess requested his own autopsy of his father which indicated probable strangulation. Hess attempted to see his father, says Farrell, but was stymied, only being allowed to see his father through an open door and receiving peculiar and skeptical responses from his father. “…we saw that there were unusual and possible connections between Ewen Cameron, the psychologist who would become such a central component of the postwar CIA’s MK-Ultra mind control program,” says Farrell, “and who was the very doctor brought in by Allen Dulles to examine ‘Hess’ at Nuremberg…First, and most famous example, of Mind Control on record.” (pp. 89, 92, 93, 253) . on his MAY 10, 1941 FLIGHT? Barron von Sebottendorff had studied the Giza complex and the doctrines of esoteric Islam and also beliefs of Lanz von Liebenfels andGuido von Lest. These practitioners held the Aryan Purity belief in which Aryan’s were dispersed from the North Pole. 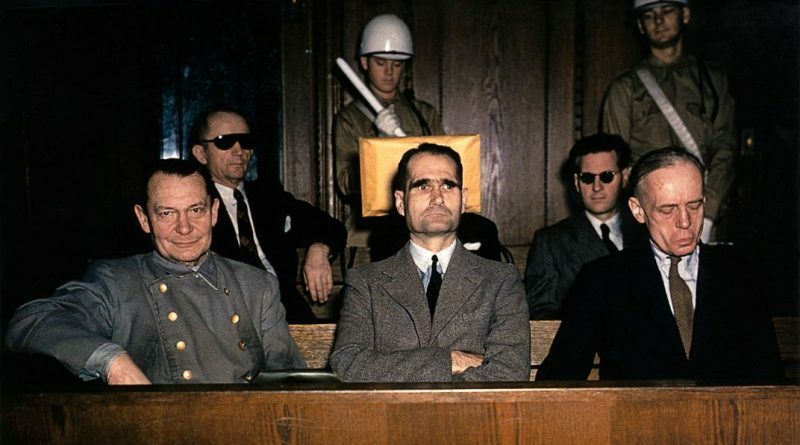 Hess is believed to have sheltered these beliefs himself in the Party, although Hess had been forbidden to speak on this doctrinal background at his Nuremberg trial. One suspicion was the May 10, 1941 flight by Hess to Great Britain was the bringing of “peace overtures” and Hess’s opposition to Operation Barbarossa, says Farrell. Another factor may have been a prophecy and preview of a German atomic bomb believed to have eventually detonated near October of 1944. Hess’s flight may have also been to “seal the deal” of peace negotiations begun in Sweden, Switzerland and Spain (John Harris, Richard Wilbourn, Rudolf Hess: A New Technical Analysis of the Hess Flight. Farrell refers to secret meetings with General Karl Haushofer and his son Albrecht which concerned a “fusion” of the United States with Great Britain. Farrell explores further that Hess’s “peace plan” may have been a mechanism to also ‘warn’ the British about the on-coming ‘final solution’ of the Jews (p. 224). Farrell lists the disclosures by Max Nordau (Pre-World-War-One), Rabbi Stephen Wise (Pre-World-War- One), Ben Hecht and Robert John (Pre-Hitler) mentioning of six-million Jews or people (p. 228). The “Jewish Question” was broached by Wolf Hess, the Program Halifax, the Zionist Movement, Lord Victor Rothschild, and the Apostles Society, in what seemed to be groundwork primarily for “the Holocaust.” There was even mention of finding land parcels to where the Jews could be safely migrated to. All of this appears to be “debris in the junkyard of the Hess Mess” (p. 232). Another puzzle piece appeared to be an occult book which Hess took on his flight called the Black Book of Laoughcrew which told about Holy Objects and buried treasure. Farrell further suspects Heinrich Himmler and Rudolf Hess may have actually been part of an assassination plot of Hitler. “…the sine qua non of any negotiated peace in the West was the removal of Hitler from power,” says Farrell. MORE ON HESS AS A DOUBLE. Farrell explores further the possibility of a “Hess double,” as told about in W. Hugh Thomas’s book The Murder of Rudolf Hess. 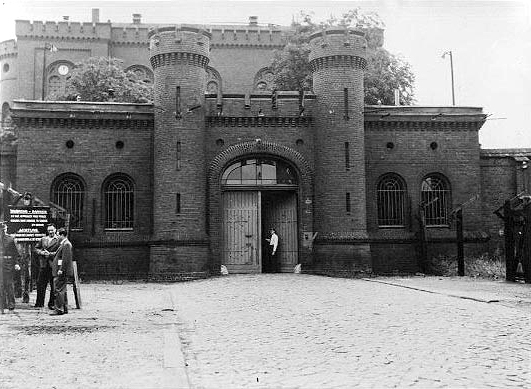 Indicatively, “Spandau Hess” had no war scars, and this newer Hess was a smoker. Allen Dulles, OSS status chief in Zurich and later director of the CIA as well as the notorious member of the Kennedy assassination Warren Commission, asked MK-Ultra “mind control” expert Dr. Ewen Cameron to examine Hess. Various authors propose that Hess was a manufactured mind-controlled Manchurian candidate experiment (pp. 90-91). The alternative theory had been that someone performed as a convincing double. Surprisingly, Ewen Cameron was related to Dr. James Malcolm Cameron who conducted the Hess autopsy. Nazi Germany always had an inclusive interest in Antarctica ever since Hermann Goring’s May9, 1938 expedition. Goring’s expedition was a first-step-plan to “annex” Antarctica into the Reich’s ownership, and that a post-war use was in store for the continent: Germany was “staking a claim” (p. 240). This maneuver was rejected by the Norwegian government, and this “dispute” may have come up in the “Hess Mess.” Picknett, Prince and Prior suspected that Hess’s flight also had the purpose to “conclude matters” of Antarctic ownership (pp. 250-251). The United States was likewise mixed into the Antarctica mystery when an Operation High Jump utilized over four thousand people, an aircraft carrier, a submarine, aircraft helicopters, and special equipment to investigate the continent..
Admiral Richard Byrd was the leader of the operation and was accompanied by his son, Richard E. Byrd, Jr. Others involved in the operation were Rear Admirals Good and Cruzen, Vice Admiral Forrest Sherman, the Naval Chief of Staff Fleet Admiral Chester Nimitz, and Secretary of the Navy James V. Forrestal, who later became Secretary of Defense. The death of Admiral Richard Byrd’s son, Byrd Jr., bizarrely happened in September 1988 (on his way to a highlighted commemorative dinner for his father), shortly after being seen in the company of an unidentified man. Byrd Jr. had accompanied his father on the 1947 expedition (pp. 247-248). Farrell is skeptical about the growing popular theory that a Third/Fourth Nazi Reich “fortress” was established in the bowels of the Antarctica wastelands, as he says he does not feel it was mechanically possible, indicating the problems that the Americans had in Project Iceworm and Project Century in Greenland. Farrell, however, says the Americans were, indeed, looking for something (p. 245). “…the Hess Mess is indeed a colossal, gigantic inexplicable mess,” says Farrell. “There are no easy answers here: there are only uncomfortable synchronicities and questions boarding on the absurd and bizarre, and speculative scenarios where sweep and scope are truly immense, bizarre, and horrifying.” (p. 256). Farrell gives much credit to authors and researchers such as William Stevenson, Gloria Vitanze Basile, Picknett, Prince, and Prior, John Harris and Richard Wilbourn, Nicholas Goodrick-Clarke, Lynn Pickitt, Clive Prince, Stephen Prior, W. Hugh Thomas, Joscelyn Godwin. and many others..